I am writing in support of the ‘Rebuilding Bridges’ Morning Conference next month – at Church House Westminster on Thursday February 1 – which I am sadly unable to attend. This is important to me because it restores my faith in humanity there are other people sharing views compatible to mine. My trust in the hierarchy of the Church of England has been shattered. I won’t leave the Church because of this, but basically the statement is tragic because of its implications. Why is there a cloud over Bishop Bell’s name? My response is because the Archbishop intends perpetuating ambiguity. I would challenge the relevance in the context of this statement: “Good acts do not diminish evil ones, nor do evil ones make it right to forget the good”. Why is the Archbishop saying this, if not to convey insidious undertones of an implied guilty verdict? The Archbishop had an opportunity to clearly refer to the UDHR, Articles 10 and 11. I feel he has let down the Church of England, as its leading spokesperson. I am not an expert in law or theology. My interest in this issue is because my work in a pastoral role at primary school includes safeguarding procedures. In my opinion, Lord Carlile’s report was balanced and rational. It avoided preference or prejudice, unlike the Archbishop’s statement which conveyed both. To me ethics are of utmost importance, because we are educating the next generation to be morally responsible as individuals and as world citizens. Every child has a sense of natural justice. ‘It’s not fair’ is one of the first and most repeated phrases from Reception Year upwards. In playground disputes we always follow procedures based on conflict resolution. First one child speaks, while the other listens, then vice-versa. With an adult monitoring, most often the outcome is reconciliation. However, how can I encourage children to respect a man of great responsibility like the Archbishop, when he dismisses the need for a fair hearing of the other? The school where I work is predominantly non-Christian, with a very diverse spread of backgrounds and nationalities. My sadness is that the Christian faith is being destroyed within by its own leaders, when they recklessly demolish the reputation of one of its greatest representatives. I am really distressed by this, as children have more choices than ever about what they choose to believe and the inspiration for their internal value system, but the consequences of weak moral leadership from the Anglican Church will not inspire any young person. 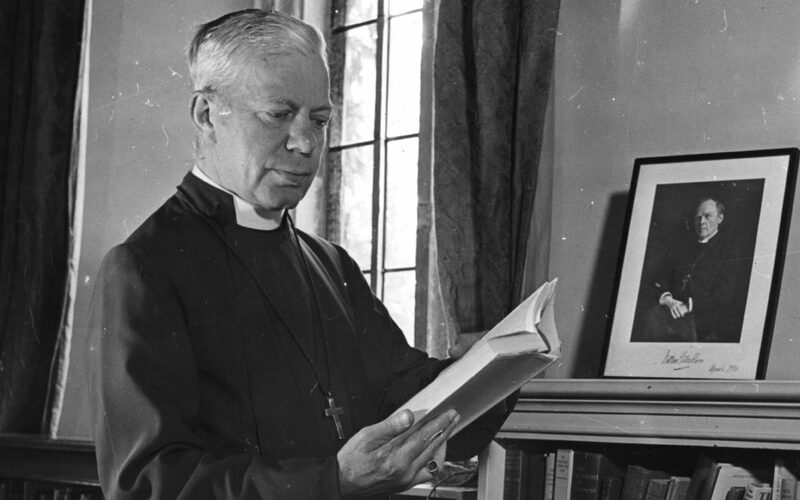 The Archbishop has weakened the Church of England by the defamation of Bishop Bell. The long term result is a church broken from within, which does not attract new faith in young people. A strong church for the younger generation is needed, which has the humility to concede it is sometimes wrong and mismanages its procedures. The Archbishop has lacked the courage to do this, by continuing to deflect guilt onto Bishop Bell. That is why I feel his Statement was self-serving and cynical by the statement “Good acts do not diminish evil ones , nor do evil ones make it right to forget the good”. This comment is made in the context of Bishop Bell’s life, marked throughout with adherence to Christ-centred behaviour in war-divided Europe and beyond. This reference to “evil acts” are totally without evidence, and neither necessary or appropriate to the statement. To misquote Martin Luther King Jr, 28.8.1963 “I look to a day when people will not be judged by the allegations, but by the content of their character”. I want to live out my Christian values towards others, based on informed and thoughtful reflection rather than prejudice. I own my anger towards the Archbishop, prompted by shock that he was so intentionally ambivalent towards Bishop Bell in his statement. I continue to learn through this situation about the theory of personality and what integrity really is. I will continue to invest time and consideration into challenging the Archbishop’s statement “Good acts do not diminish evil ones, nor do evil ones make it right to forget the good”, especially in the context of Bishop Bell. This letter is underpinned by my sincere desire to look towards the well-being of children. My work requires robust safeguarding in school and in all spheres of life. In an attempt to over-compensate for past indifference to allegations of child abuse within the church, the leadership projected blame onto a dead man to absorb the ill will. By implying the guilt of Bishop Bell in the above comments in his statement, the Archbishop increases mistrust in safeguarding procedure rather than respecting Lord Carlile’s conclusions. This does not offer any assurance that future allegations will be properly addressed. I feel compassion for those who have been deeply hurt by words of injustice towards Bishop Bell, who has no opportunity for a fair public hearing. I hope for a positive outcome at the Rebuilding Bridges event on Ist February, and pray that it brings reconciliation and the restoration of Bishop Bell’s good name. This entry was posted in Bishop George Bell and tagged "significant cloud", 'Rebuilding Bridges' Morning Conference - Church House Westminster, Anne A. Dawson, Archbishop of Canterbury Justin Welby, Church of England, George Bell Bishop of Chichester, Letters, Lord Carlile, The Bell Society on January 9, 2018 by richardwsymonds37. Thank you for this. I can assure you that we are working towards publication of the review by Lord Carlile as swiftly as we can. We received the draft of Lord Carlile’s report in October and now, according to the Terms of Reference of the review, are at the stage of responding with feedback from those who contributed. This is quite an intensive process and includes issues over factual accuracy and identification of ‘Carol’. As the review website notes, the final version of the report will then be presented to the National Safeguarding Steering Group before publication. This is the process with all independent reviews. This entry was posted in Bishop George Bell, Letters and tagged Letters, Richard W. Symonds, William Nye on November 22, 2017 by richardwsymonds37. Thank you for your reply – it is appreciated. I did not understand there was a distinction between the ‘National Safeguarding Team’ and the ‘National Safeguarding Steering Group’; I am glad to have that clarified by your Statement. Controversy and confusion still exists – as exemplified by this article in Christian Today. The critical ‘George Bell House’ issue in Chichester also remains regrettably unresolved. But, despite this, I’m sure progress can be looked forward to in a spirit of reconciliation and hope. Thank you again for your kind response to concerns.